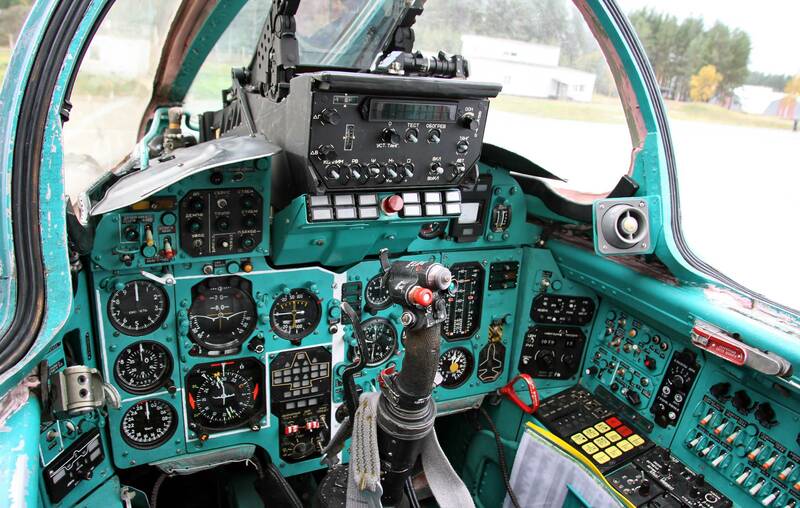 Almost all cockpit panels of Russian aircraft types are painted in turquoise, whereas elsewhere the cockpit panels usually exhibit a dark grey color. As this "rule" seems to be quite prevalent, I am curious as to the reason/origin. ...the color chosen by Soviet designers helps to reduce stress and maintain a pilot's effectiveness on long missions. ... the scientists found out that this color keeps pilots awake and not getting tired by the black or grey of a cockpit panel, especially under terms and condition of long range flights or under heavy work load. This URL contains a color guide for cockpits. Soviet defector and MiG-25 Pilot Viktor Belenko claimed that this was done because it was found to be more soothing and relaxing for the flight crew to operate in a blue-green painted cockpit. This color was very common in both Russian military and civilian aircraft during the Cold War era. I’m not sure but I suspect Boeing did the same thing when choosing the light earth color for their jetliner cockpits. the real reason is tactical lighting. not all russian aircraft have the turquoise/jade colors cockpits. use red lights for tactical night operation, and very little light can be seen out from the cockpits. russian helicopters and cargo that are design to operate in tactical night ops have also this feature. Not the answer you're looking for? Browse other questions tagged aircraft-design military cockpit russia or ask your own question. Why are the cockpit controls of airplanes so complicated? What is a “Russian IATA code”? Are the instrument panels in the cockpit spill / waterproof? Why are military planes painted differently than civil planes? Why don't Russian aircraft sell as much as their European/American counterparts? Why are some aircraft windows painted over? Why is there a white line on Russian fighter jets' instrument panel? How do contemporary Russian jet engines compare to Western ones? Why aren't Russian jet airliners popular even in Russia?